Category: Books, Children's and Parenting, Yoga and Meditation Tags: children, meditation, meditation for children, parenting, yoga, yoga for children. 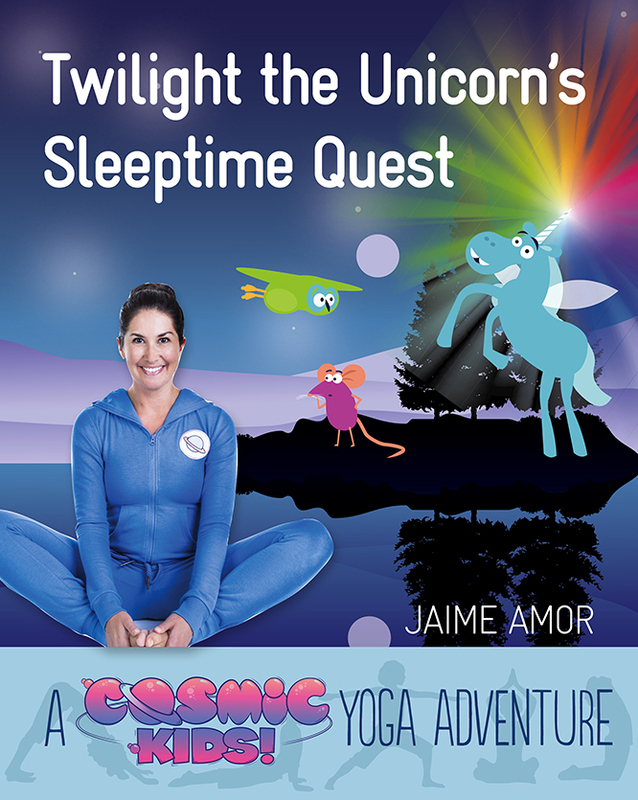 Combining storytelling with yoga routines from YouTube phenomenon Cosmic Kids, this is a uniquely fun and interactive way of delivering yoga to kids in book form – and helping them relax at bedtime too! The hugely successful Cosmic Kids YouTube channel helps children discover yoga by joining presenter Jaime on monthly yoga adventures, each one a story featuring a loveable animal character that achieves something amazing. Aimed at 3 to 6-year-olds, the Cosmic Kids yoga books offer children a chance to take the yoga more slowly than is possible in a fast-moving video, to spend more time in their favourite poses, and also to enjoy reading or listening to the story. Each book is themed around a specific area of wellbeing – in the case of Twilight, this is relaxing at bedtime and enjoying dreams. In this truly magical adventure we encounter Twilight the unicorn in an enchanted forest, as well as a host of other characters, including Tallulah the owl, Matilda mouse and Mr Hoppit the hare. The Cosmic Kids’ mission is to scatter starshine and bring a peaceful sleep and lovely dreams to all. The story concludes with a relaxation and affirmations to reinforce the book’s soothing message. With bright illustrations, the books are designed to mirror the Cosmic Kids look, and to allow children to get to know a range of characters from the Cosmic Kids videos. There’s also information at the back to help parents and teachers introduce children to yoga, even if they don’t practise yoga themselves.